CORRUPTION is generally defined as any form of abuse of public office for private gain. The word "corruption" is a linguistic derivative of the Latin word "corrumpere" which literally translated would be the equivalent to words such as "break," "mar," or "seduce." A compendium of definitions converge on the definition of corruption as any act that impairs integrity, virtue or moral principle. It also captures any inducement to wrong by improper or unlawful means. This depravity may be likened to a moral cancer. Such a cancer has the capability to exacerbate societal poverty. Poverty, in turn, may be defined in a number of ways. Poverty is multi-dimensional. The poverty phenomenon includes, but is not limited to: low incomes; low levels of education and health; high levels of vulnerability; voicelessness and by extension powerlessness. Corruption robs society of its chance to enjoy the fruits of development. This vice usually results in one individual or just a select few not only amassing immense ill-gotten wealth at the expense of the rest of society but also crippling organizations in the process. According to the World Bank, economies grow much faster if corruption is lower, property rights and the rule of law are safeguarded. The World Bank estimates that countries that better control corruption and improve the rule of law can expect, in the long run, a fourfold increase in incomes per capita on average. Just imagine a four-fold increase in per capita income by simply controlling corruption! Corruption is a fast growing evil. It is as destructive as veld fires. A single unextinguished flame of corruption can burn acres and hectares of forests of progress in one swift swoop. It can eat into the moral fibre of society and it, without a doubt, obliterates the ethical pillars which normally hold and bind society together through the morally compulsive observance of ethical conventions. With corruption in the driving seat it would fast cease to be a rarity to stumble upon people being gifted with jobs that they are ill-qualified for and not capable of executing, for instance. It would also not be uncommon for people to progressively and often unbelievably mess up on a job while a lot of effort is unrestrainedly exerted to cover up the sorely soiled track records of the miscreants. Corruption begets corruption. Corruption could probably, at least, and undoubtedly at worst, be one of the potent reasons behind Africa's crippling and disappointing record in its quest to attain the developmental aspirations of most of its countries since, courtesy of corruption, Africa's resources are decadently pillaged by those entrusted with safeguarding such resources and diverted away from their most optimal national use to the insatiable, filthy and unproductive personal pockets of the perpetrators of the vice. I have always asked myself why, in most instances, there appear to be no concerted attention paid to curbing corruption in Africa apart from mere rhetoric. A significant number of African countries, seem not to be seized with the urgent need to come up with robust and practical mechanisms to curb this rampant cancer. Some countries have made strides in this regard, for example through instituting some regulatory organizations in an attempt to curtail this vice. Unfortunately, most of these watchdogs are either insufficiently empowered to be effective or quickly develop within their rank and file those who soon acquire membership in the evil bandwagon and end up clandestinely filling up their bellies with fruits plucked off the corruption tree. Given the covert nature of operation and the sophistication of the players that ply their trade in the corruption vocation, it is incumbent upon those that institute and constitute these watchdogs to not only physically resource these organizations with adequate manpower, in terms of numbers, but to actually ensure that the individuals appointed to these boards are at least qualified, bold and intelligent to, at a minimum, be able to brainily and fearlessly see through the process of unearthing and successfully litigating those that would be found on the wrong side of the law. The biggest contemporary challenge on this score that a lot of African countries face in their reliance on anti-corruption regulators that the countries would have put in place is that more often than not due to resource constraints those who man these organizations tend to earn not so significantly high levels of remuneration. The relatively low remuneration levels tends to seemingly incentivize (the unethical among their membership who would be bribed) to turn a blind eye to some happenings that they would not normally turn a blind eye to had they been adequately remunerated. The foregoing assertion should in no way be misconstrued to be implying a condonation of such corrupt practices. Numerous studies have revealed that a corrupt person can never be reformed by rewarding them handsomely. A corrupt person will almost invariably be corrupt regardless of the amount of money they earn. It stands as a moral duty, hence a necessary requirement, that those to be employed in these bodies and by extension any other board must be persons of probity. Honesty is an innate trait rather than one that may be learnt. The world has no schools or universities that teach integrity. Even the contemporary church is now to some sizeable extent not exempted as in some cases it has also become yet another breeding ground for shockingly corrupt individuals who are baser than those who are still to be converted who do not shy away from calling themselves men of the cloth these days! Some people are born corrupt! These born base individuals are deceptively cunning and can fool any regulator if the latter is not careful to have the professional scepticism antennae up when investigating them. In utopia, individuals who are not given to societal pressures to get rich quick - and make it ahead of their colleagues - would make the best candidates for corruption watchdogs provided the latter are imbued with the necessary intelligence. Unfortunately, such a utopia remains just that: a never-never land! In the real world, there ought to be character fitness tests that may, at least, expose those who are likely to be corrupt or have a proclivity to be corrupt. Lie detector (polygraph) tests ought to, at least, be a starting point for those who would be considered for such key duties as manning anti-corruption bodies and serving on state owned entities' boards as part of the character fitness tests. Corruption can easily be dealt with if those who are caught on the wrong side of the law are expeditiously handed their just dessert. If mere lip service is paid to the curbing of corruption, all that could be achieved thereby is some profound pampering of the corrupt and a massaging of their evil corruption muscles in readiness for reinvigorated and often novel peak performance. Every thief learns something when punished. If the corrupt are punished sufficiently well, they may at best never steal again or at least think twice before stealing again. If corrupt people go unpunished they become emboldened to up their game and that also inspires current and potential wrongdoers in the knowledge that nothing would be done to them even if they are found to be on the wrong side of the law. If they were embezzling thousands of dollars, for instance, they will scale up to millions. A lesson I learnt growing up is that it is much easier to uproot a sapling in its early stages than it would be to de-stump it when it would have become a big tree. More resources are required in the latter than in the former. The same applies to stamping out corruption. Transformation requires that we break with the old ways that have not produced fruits worthy of partaking. Corruption causes society to pay more for the provision of goods and services than it should ordinarily have paid through, for instance, the endorsement of substandard products as well as having to bear higher prices as those who would have for instance been awarded tenders are not the optimal producers. Corruption takes many forms. The most prevalent form in emergent economies is dishonest or fraudulent conduct by those holding public office. This typically involves bribery or financial immorality. 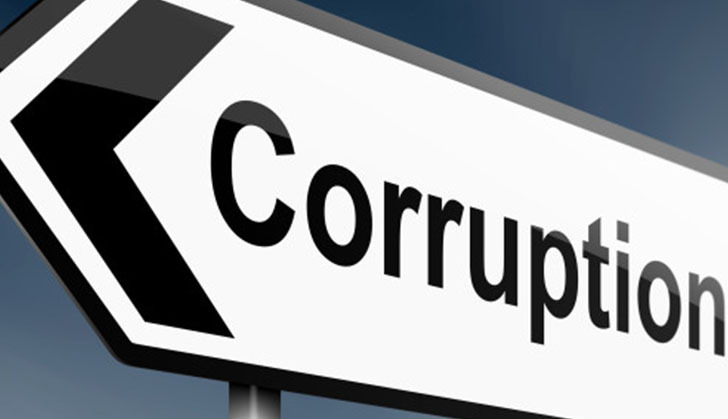 Generally, corruption manifests itself in the form of unethical conduct by a person entrusted with a position of authority, often to acquire personal benefit. This latter definition broadly encompasses even such ills as nepotism which is rampant in Zimbabwe's state-owned enterprises where some have become so fearlessly decadent to the extent of having the audacity to employ their ill qualified spouses in state-owned enterprises without following due recruitment processes! Transparency International have consistently published what they refer to as a Corruption Perceptions Index (CPI) since 1996. The CPI ranks countries according to their perceived levels of corruption. One hundred and seventy six countries are ranked on a scale ranging from 100 for very clean countries to 0 for highly corrupt countries. Sadly, African countries only get to make a debut at number 35 with Botswana, which has a score of 60 for the 2016 assessment. Zimbabwe is ranked154 with a paltry score of 22 for the same period up from 21 for the immediate past three years and is now faring worse at 160. Zimbabwe's biggest trading partner, South Africa, is ranked 64 with a score of 45 while China is ranked 79 with a score of 40 for the period 2016. Zimbabwe needs to seriously institute measures that will see her moving up the CPI rankings. This is so in light of the economic consequences of corruption perception. Numerous studies have established a positive correlation between a high CPI and higher economic growth. It has also been shown that higher CPI scores are linked to higher rates of foreign direct investment (FDI). Though there are criticisms levelled against the CPI such as the fact that corruption being covert in nature hence wilfully hidden, only proxies may be employed in attempts at measuring it among others, it remains indisputable that by whichever means an attempt at measuring corruption ranks countries, those that fare badly on whichever ranking system appear to be the ones that scare away potential investors and those that fare well tend to be regarded attractive destinations of capital. Zimbabwe should rid herself of the corrupt tag that she is now wearing in order to attract meaningful FDI from significant investors who are themselves not perceived as being corrupt. The easiest way to start the journey towards eradicating corruption is to ensure all those individuals who have been accused of corruption are properly timely investigated and if found guilty, according to the country's laws, effectively dealt with once again according to the country's laws. Seriousness on this front will not only serve as a potent deterrent to would be offenders but would also set the country on a path to economic and moral recovery. The culture of merely sweeping corruption cases involving huge sums of money under the carpet while hounding and arresting petty pick-pockets for crimes involving a few RTGS dollars should be dispensed with. Criminals big and small must equally be brought to book. Many a time you wonder why some corrupt people are just left to continue with their corrupt activities and even corrupt previously robust systems with impunity. The country will not record any meaningful economic progress if a few greedy individuals are allowed to unethically cause injury to the masses through their unfettered greed. Those vested with the responsibility to ensure that economically and perhaps morally derailed Zimbabwe gets back on track as far as development is concerned should adopt both in word and practise a "no tolerance to graft policy." Corruption is a very bad cancer and like all evil things it must not be allowed to proliferate. This cancer should be eradicated at shop floor level, boardroom level, national level and even international level! For as long as the majority are gathering fruits for the benefit of all who will be actively participating in the fruit gathering exercise while a handful are busy pilfering that which the majority would have gathered, the majority will sooner rather than later be disillusioned hence frustrated as they watch the ever disenchanting results of their efforts. The economy urgently requires economic stabilization policies to be put in place. Unfortunately, efforts aimed at stabilizing the economy will simply go to waste if the corrupt elements in the country are not pared down or even stopped dead in their filthy tracks. The economy will benefit immensely if concerted efforts are made towards making the country a favourable investment destination. A relatively easy way of doing that is ensuring that the country scores high on the ease of doing business front. The ease of doing business score will greatly improve by merely eliminating corruption. Not surprising is the fact that in a significant number of studies on corruption, countries with the highest levels of corruption appeared to be the ones that had a lot of regulations as well. This also appears to be the same with organizations as well since those that have the highest levels of corrupt senior management tend to be the ones with never ending regulations and policies. The multitude of regulations tends to be instituted by corrupt bureaucrats so as to have more potential fronts from which to extract bribes. Some regulations and rituals just have to be dispensed with if we are to transform Zimbabwe into an attractive investment destination. Let us never forget that Zimbabwe is in competition with other countries in her quest to attract investment. Capital goes to its most attractive destination. Zimbabwe sorely needs to lure capital through instituting investor friendly policies and shunning corruption so as to stake out her rightful place in the global business arena. Gone should be the days where we choose to see no evil even when evil will be staring us in the eye through our being confronted with the harsh reality that some of us could have been behaving unethically and must be disciplined for such moral depravity. Those who obstruct the due process on the corrupt ought to face the music as well since they are the enablers of corruption. Zimbabwe will be great again! Let us all say "no" to corruption for that is the right thing to do!